Believe it or not, ecommerce businesses are heavily investing in social media to make the most out of it. According to Emarketer, ecommerce businesses spent approximately $24 billion on social media in 2015. And the number is keep rising. But when it comes to social media marketing, there are many social media marketers who have lots of unrealistic thoughts about it. The reality is the promoting your online store on social media is indeed a difficult task. It is important for online business owners to find some effective strategies that work. However, business owners will never create a successful conversion funnel if you don’t stop believing the following social media myths. Too many online businesses think that growing fan base and generating social shares are enough to make any social media marketing campaign a huge success. However, it is exactly not the case. Though these metrics are important, but there are some other metrics as well that you should take seriously. Your main goal is to generate more sales. Likes, shares, comments and other social media engagement play a key role but they must not be your end goal. Many marketers think that creating your online presence on every social marketing platform is important for your online business success. They invest their time, energy and resources into creating accounts on every new channel, despite considering its effectiveness for their brand. It is important for every brand to understand the demographic of your audience and social network prior to creating an account or set budget for advertising. Try to be reasonable and result-driven with your approach. 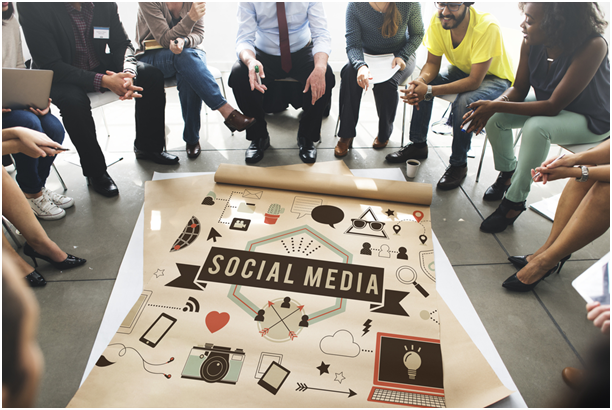 Work on a few social media marketing channels that work best for your brand. People these days massively use social media to interact with their friends and look at interesting, entertaining content. They don’t bother to have a look at obnoxious ad appear on their newsfeed. You need to engage with your audience to build trust and gain brand credibility. Persuade users to visit your website by offering engaging, valuable information. Don’t bombard them with branded stuff anywhere; otherwise they’ll ignore your brand. Generating sales is difficult, especially for ecommerce brands. Online business owners need to carefully nurture their leads prior to monetizing them. Successful business owners have an effective conversion funnel for their social media marketing campaigns. · Build a list of email list subscribers. · Growing your followers on social media. · Convince visitors to download your eBook, whitepaper or any research that motivates them to make future purchases. · Run online contests and offer some incentives. These conversion funnels are mainly focused on creating strong relationships with prospective customers. Though it takes time to convert them into loyal paying customers, but it works best. Make sure you have an effective conversion funnel to convert your leads into repeat customers. The social media world is always changing. New trends become outdated. Ads are viewed so many times and then burn out. Online business owners need to be actively updating their social media marketing strategy to improve the bottom line. Improve your campaign strategy, try different ideas, follow new trends and check what works best for your business. There are many brands that think that social media marketing is quite easy. They think they need some good images and a little help from friends and colleagues to make your posts viral. This is totally a flawed assumption. Your friends or colleagues don’t have a much reach needed to take your posts viral. They may not have the target demographics that are interested in your brand, products, or services. So, these are some social media marketing myths that many online business owners believe. Stop making these mistakes; hire a digital marketing agency to take your marketing efforts to a whole new level. Muneeb Qadar is a digital branding professional. Currently working for Branex UAE, he is a highly skilled individual with a wealth of experience in this field and has served a large number of customers during the last 5 years. He likes to hang out with his friends and family in and around Dubai. He likes to visit recreational places like amusement parks and have a good time with his children. If you need any assistance to make your brand stand out in the crowd, Muneeb is definitely the right man for this job.